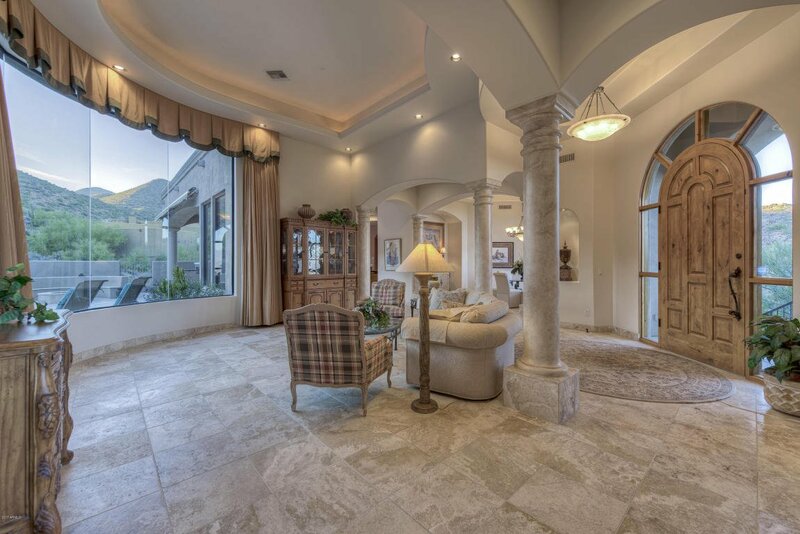 Gorgeous custom Tuscan home on a large corner lot sits majestically on a hill nestled in a serene setting in gated Shadow Canyon. 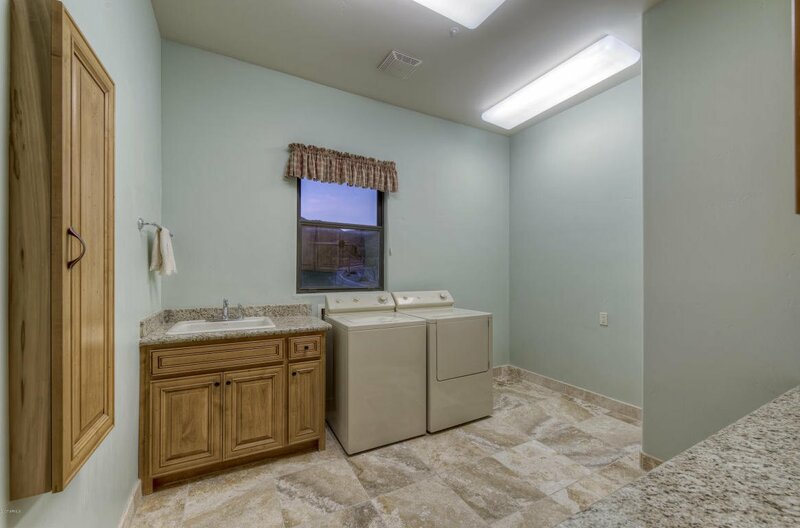 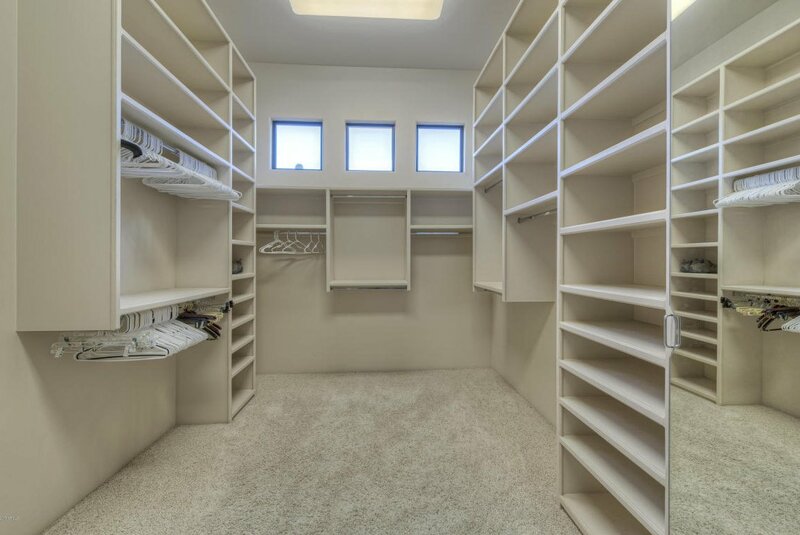 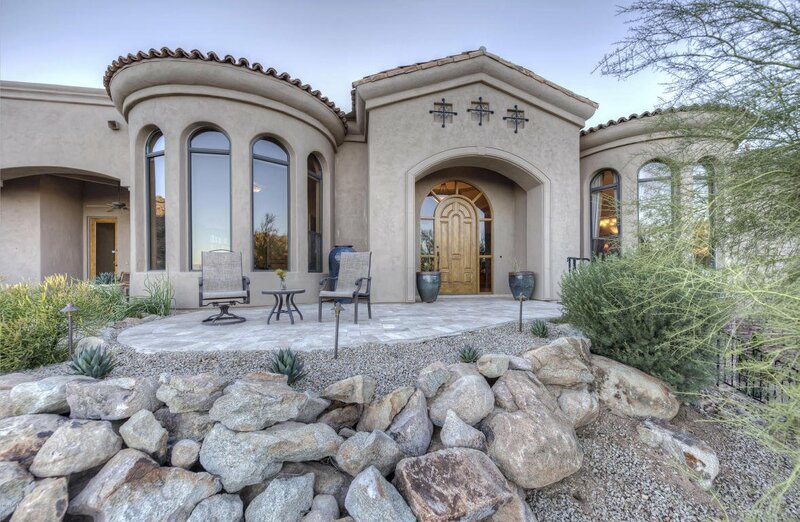 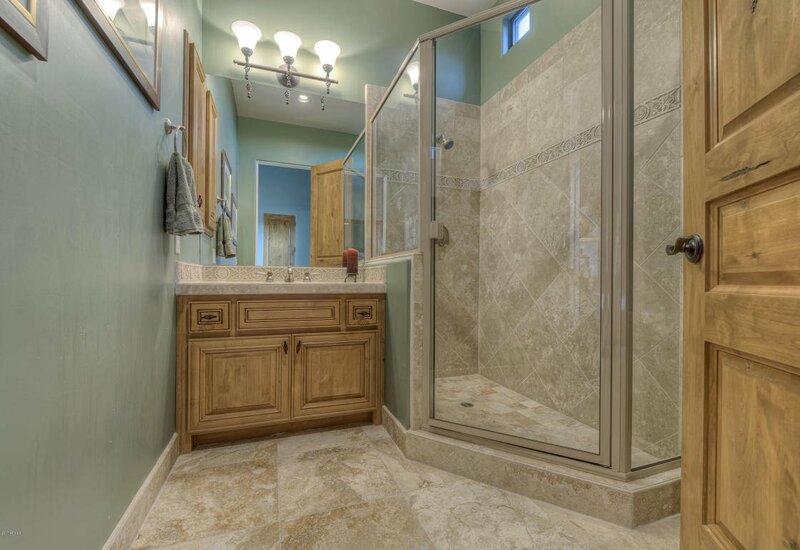 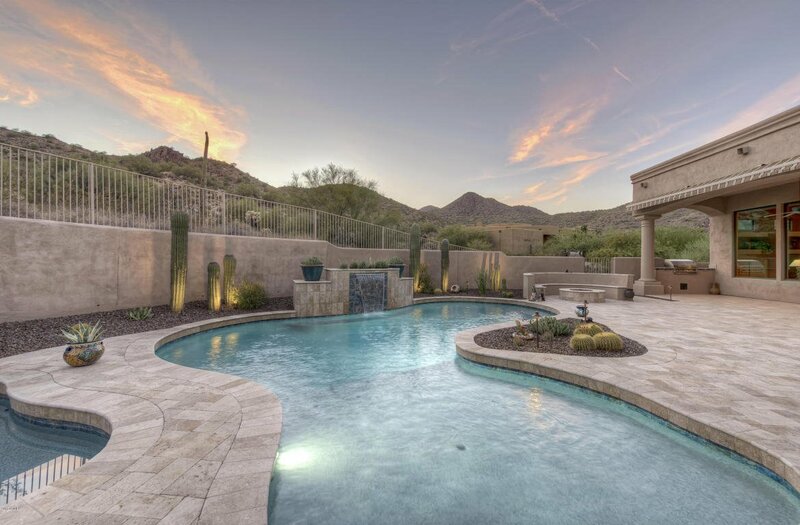 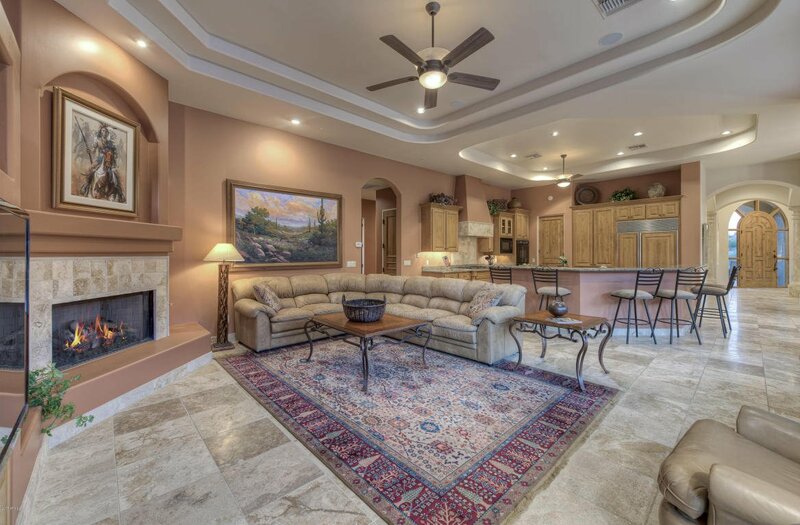 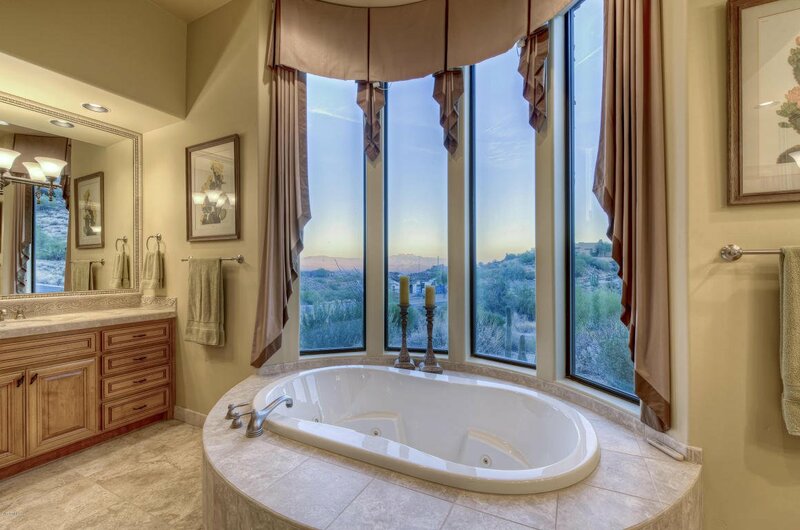 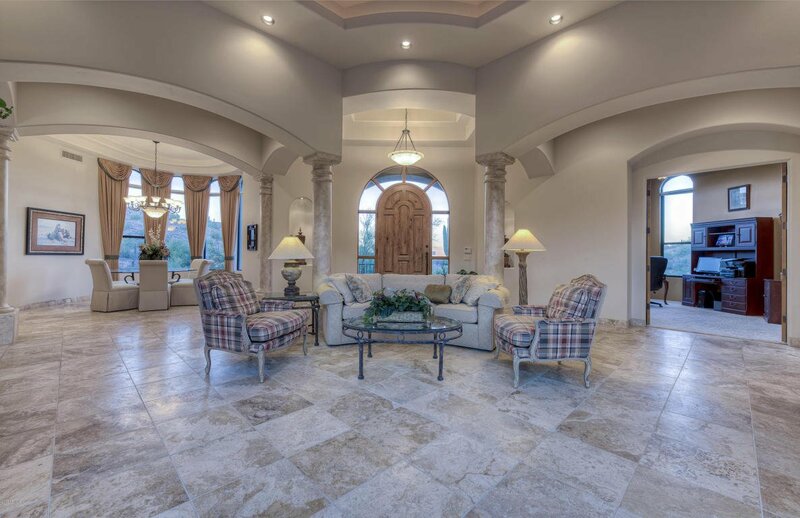 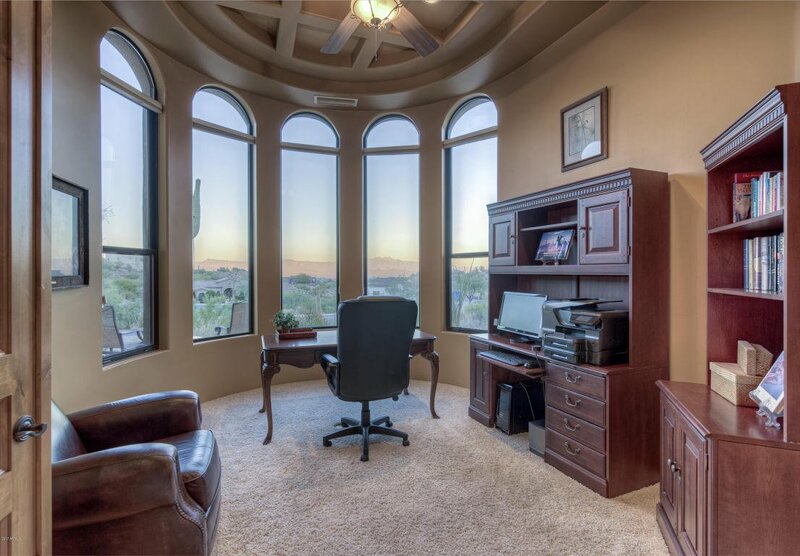 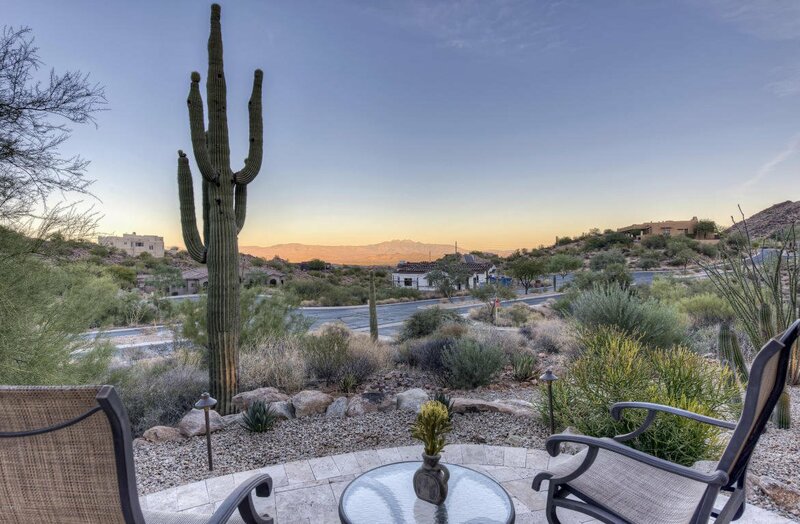 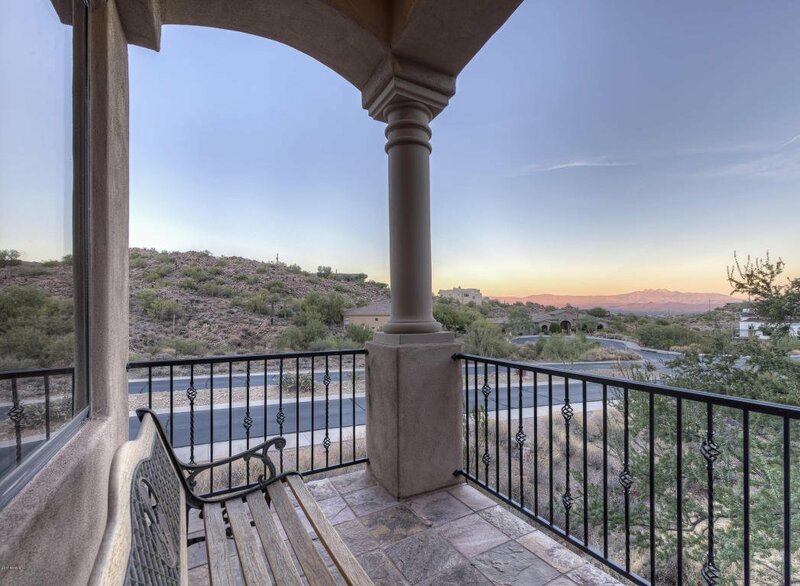 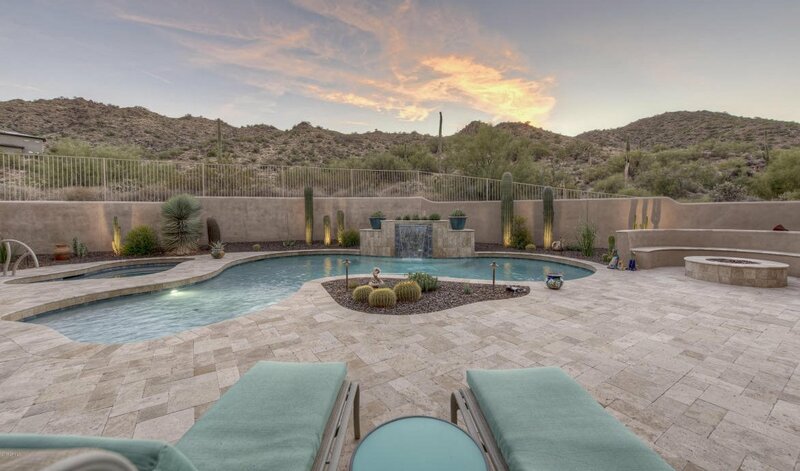 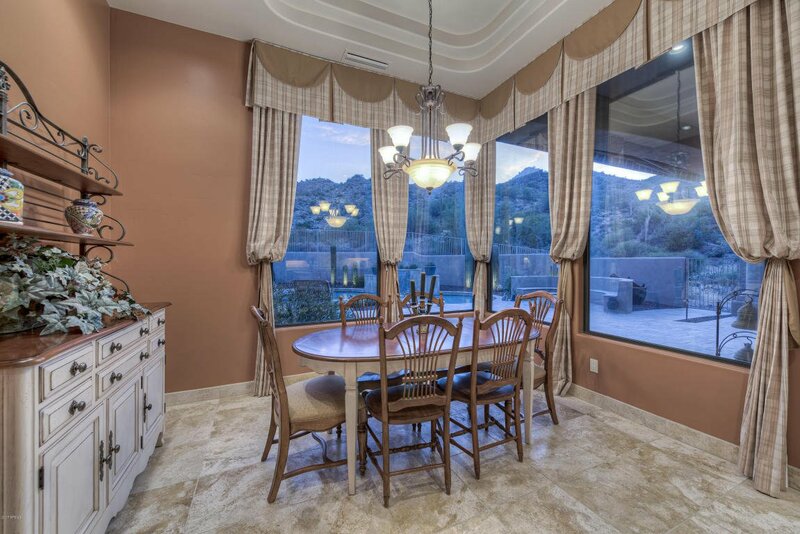 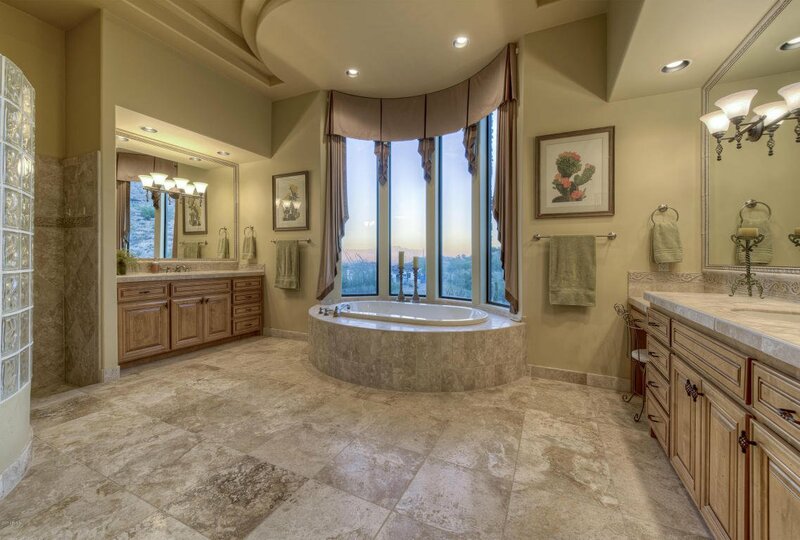 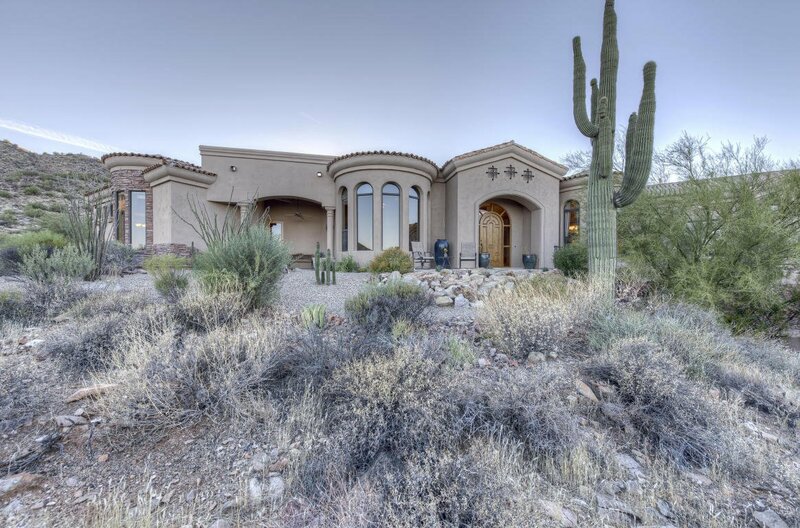 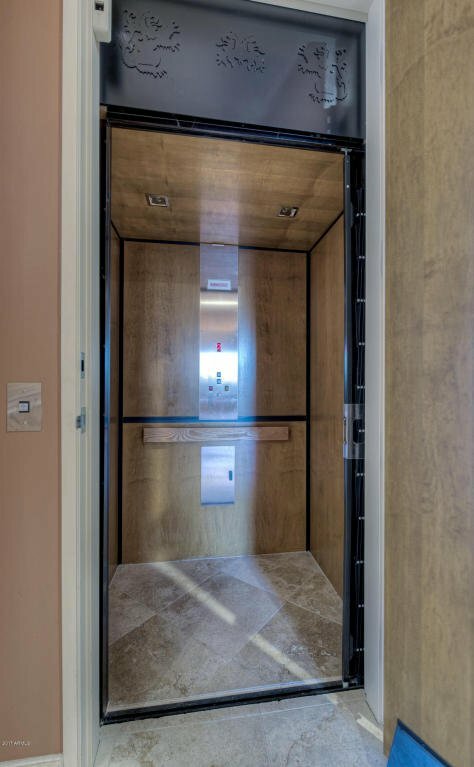 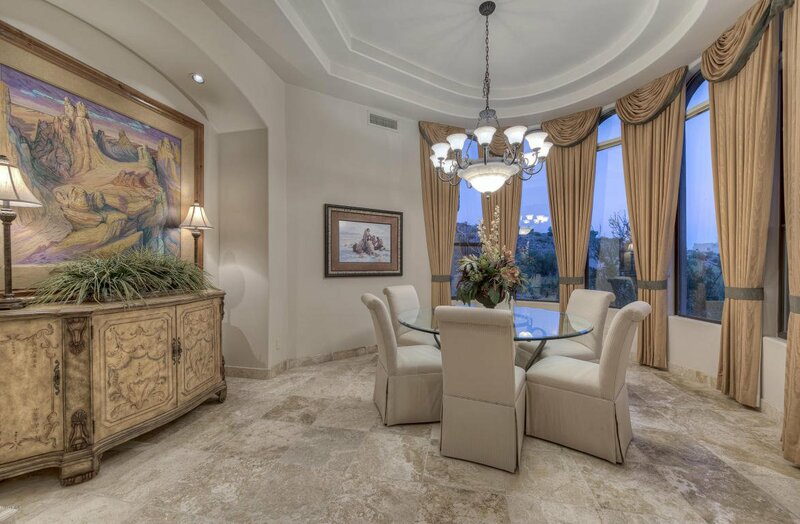 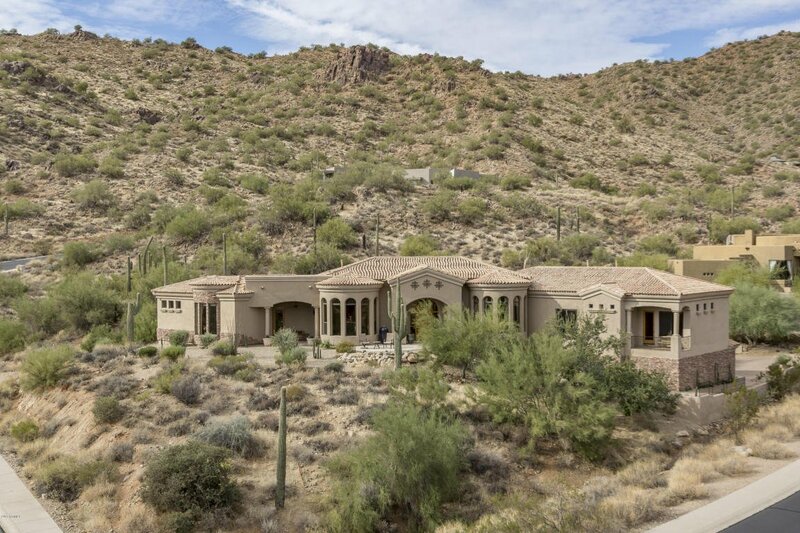 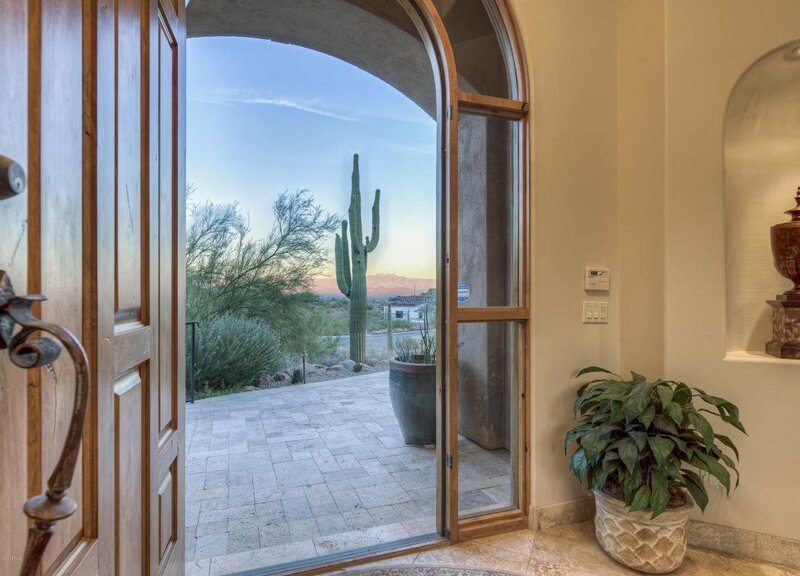 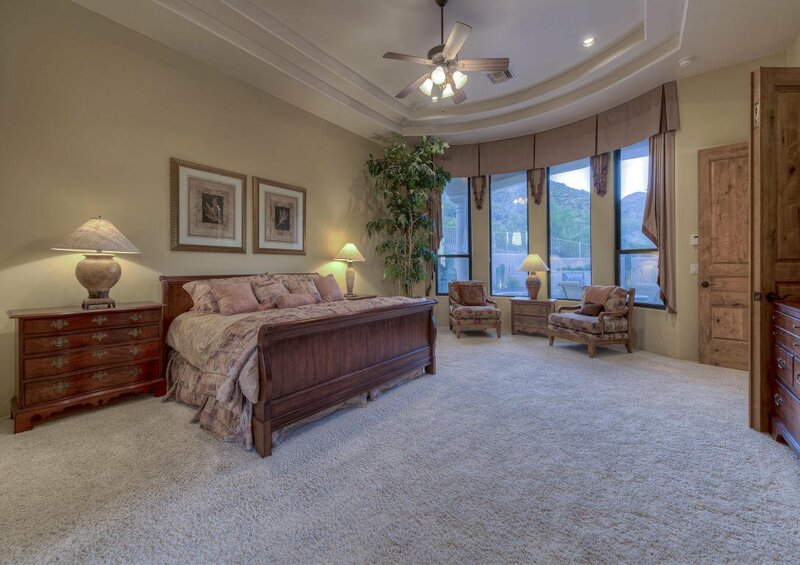 Enjoy mountain views from every room and single-level living with an elevator to the garage. 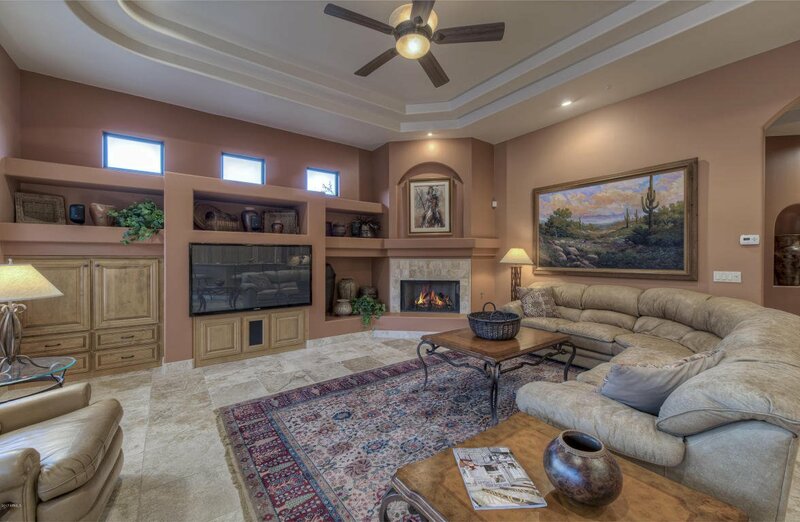 You will appreciate the open, spacious floor plan with coffered ceilings, custom alder cabinets and 8 ft doors throughout. 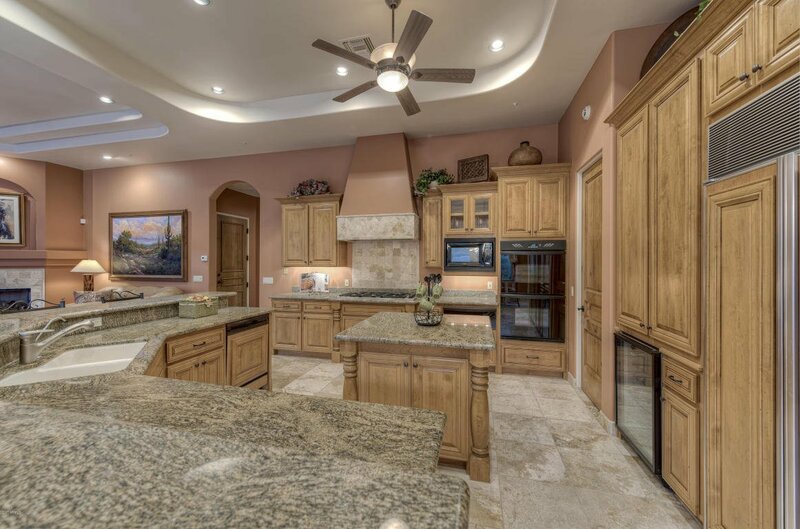 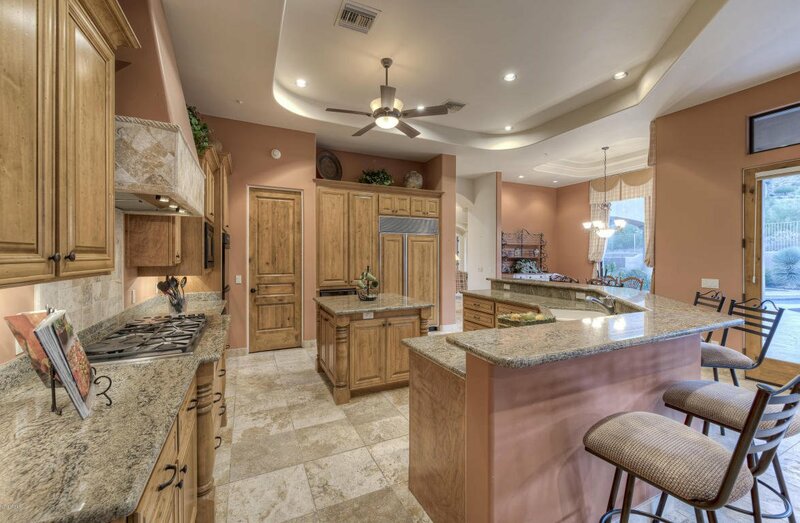 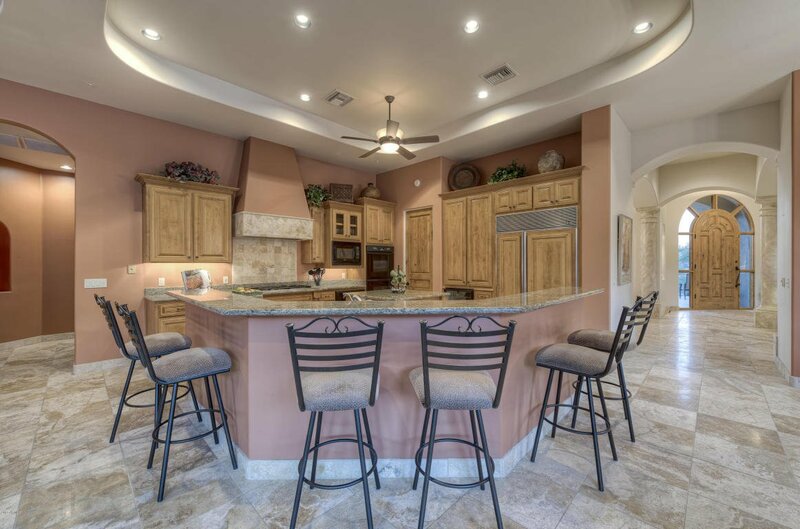 Gourmet center-island kitchen with slab granite counters, gas cooktop & high-end appliances opens to family room with gas fireplace & breakfast area overlooking the pool. 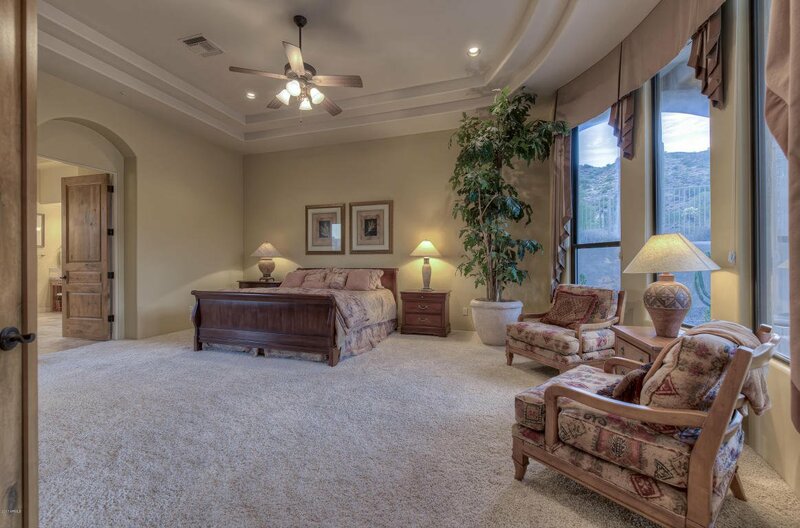 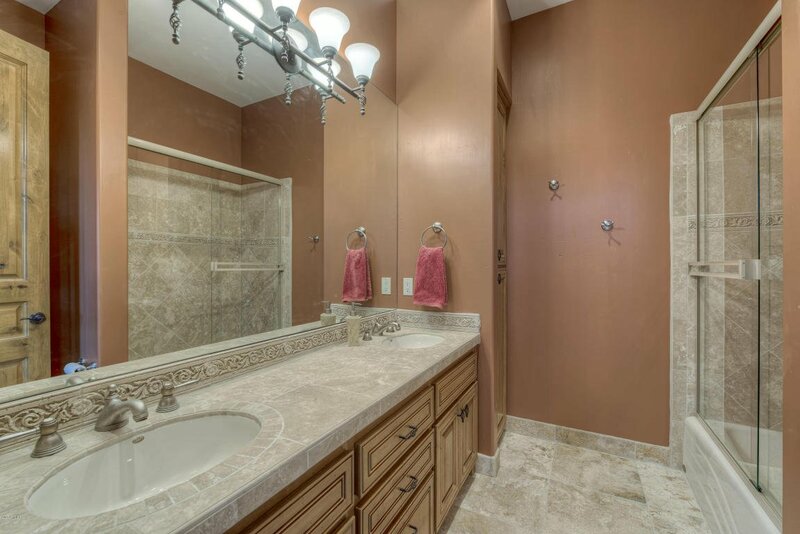 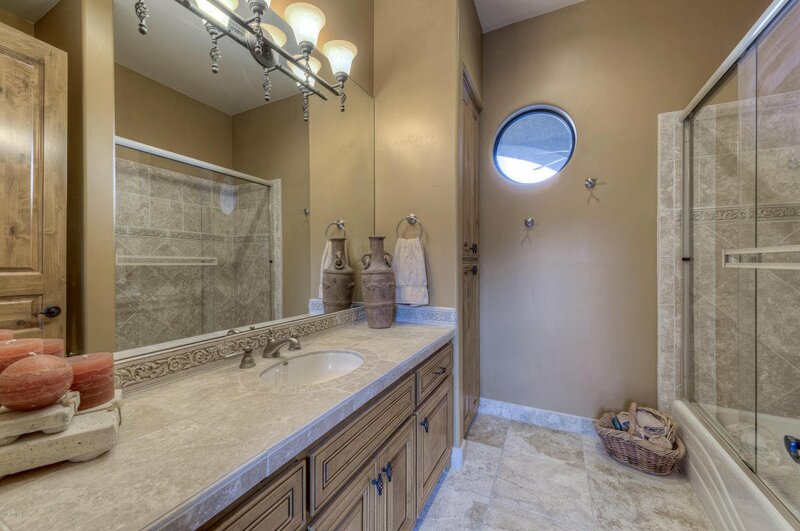 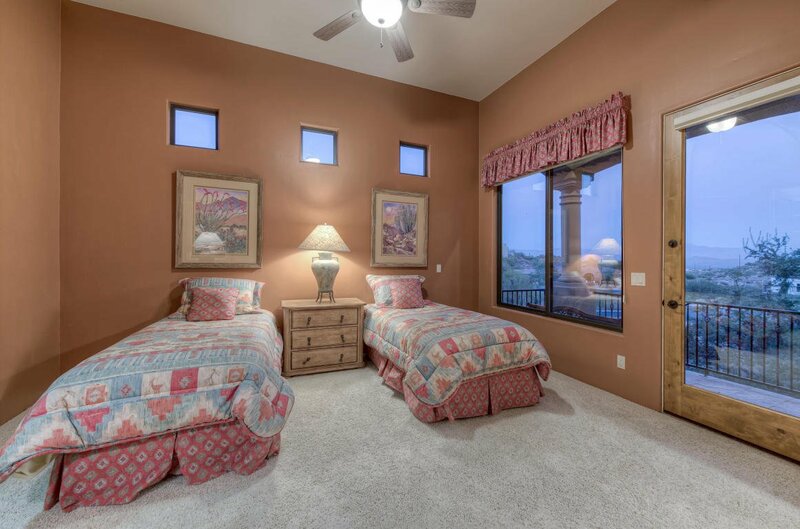 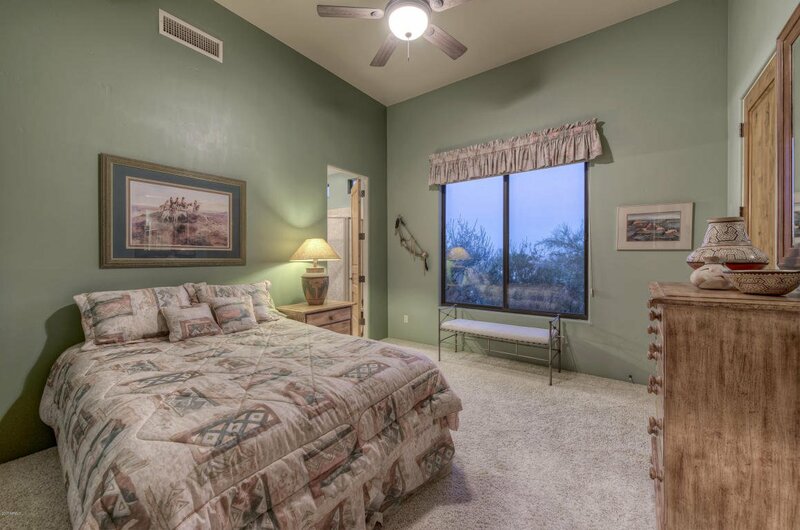 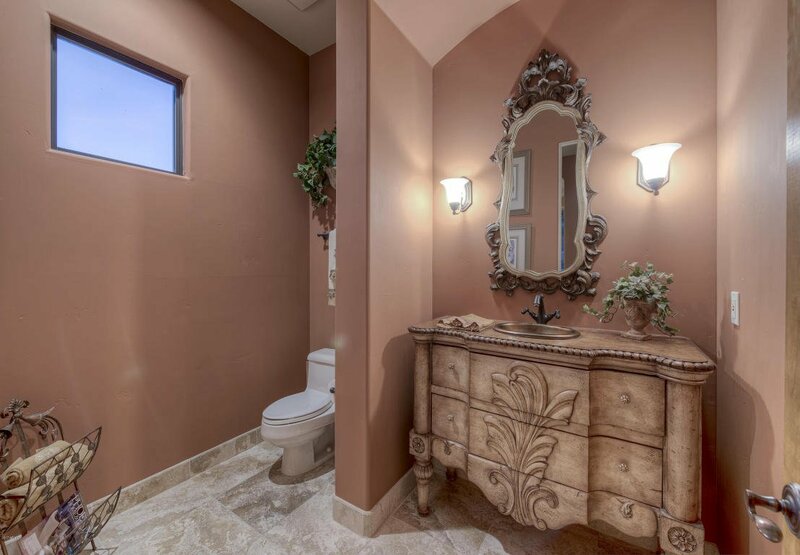 Master suite with sitting area has mountain views and its own covered patio. 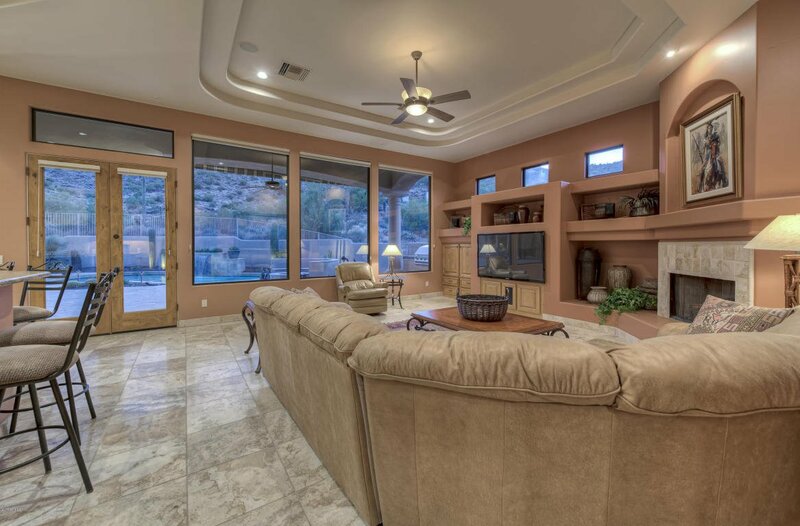 Living room, dining room, office & 2 ensuite bedrooms all have mountain views. 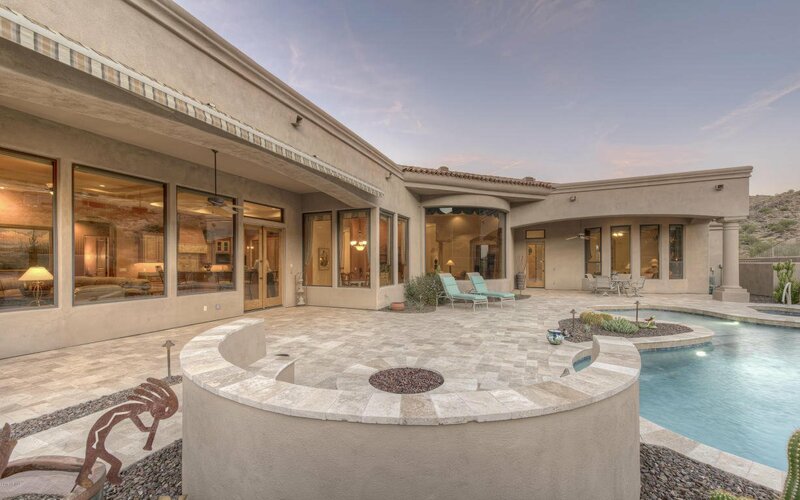 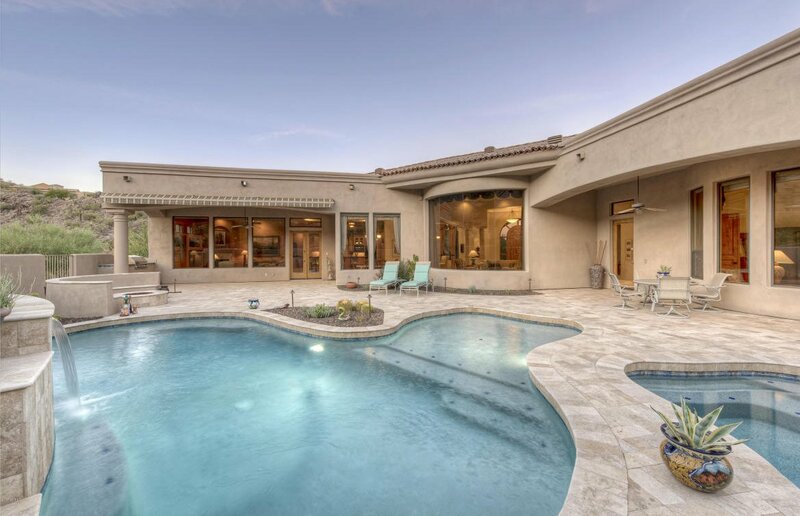 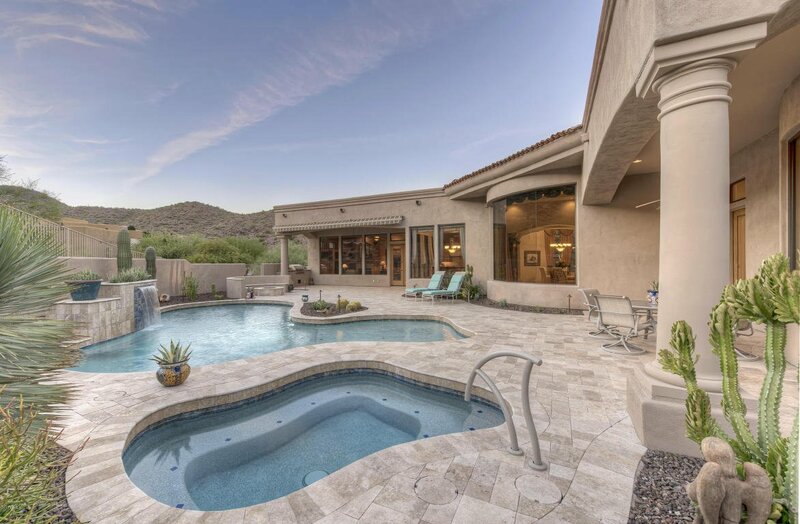 Your private backyard oasis has a covered travertine tile patio, heated pool and spa, fire pit with seating & built-in gas BBQ.